With the new AMG GT R Pro launched, one would assume that it will be the new replacement for the Black Series of the AMG GT R.
However, Road And Track, an American publication, has clarified that the new AMG GT R Pro is not part of the Black Series and a true Black Series for the AMG GT will still come. “It’s not the new Black Series, to be honest. 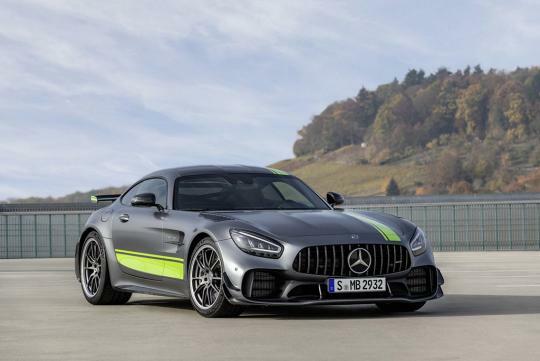 It’s a track-enhanced version of the GT R, which was always part of the program," explained Tobias Moers, the head of AMG. In the report, he also confirmed that a new Black Series for the coupe will come. Without giving up anymore details of the car, Moers diverged that prototypes are currently being tested and once they touch down on the Nurburgring, any enthusiasts will "recognise it easily". GT line brand dilution is nearing homeopathic levels. Glad I got rid of mine.